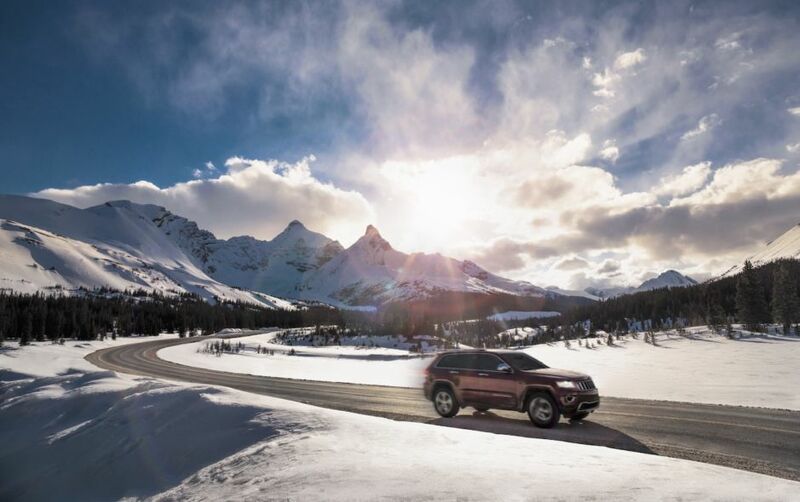 Winter is when things come alive in Jasper, Alberta — both the town and the national park of the same name. In the early morning, skis and snowboards get strapped to cars as locals and travelers head out for a day of adventure in the mountains. By afternoon, the cafés start to fill as everyone warms up with après mugs of coffee and hot chocolate. 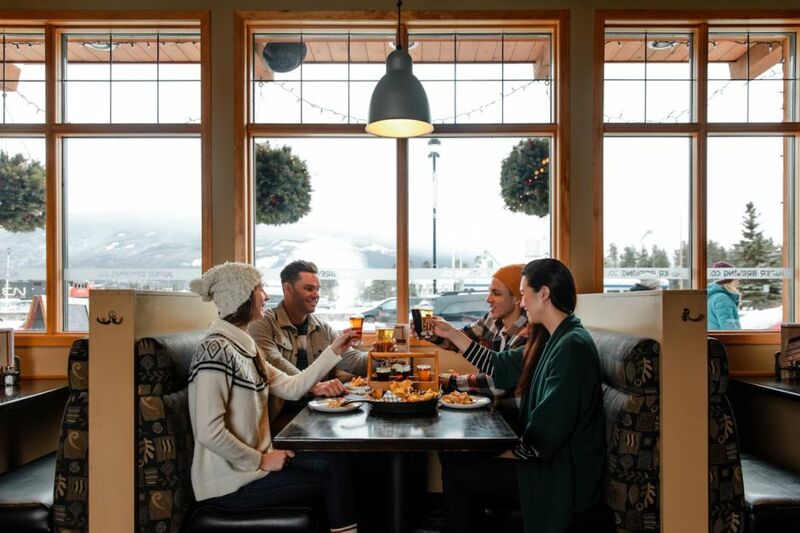 And as night falls, Jasper’s cozy restaurants and bars begin to bustle as a shatter of stars wheels and pulses above one of the world’s largest dark sky preserves. 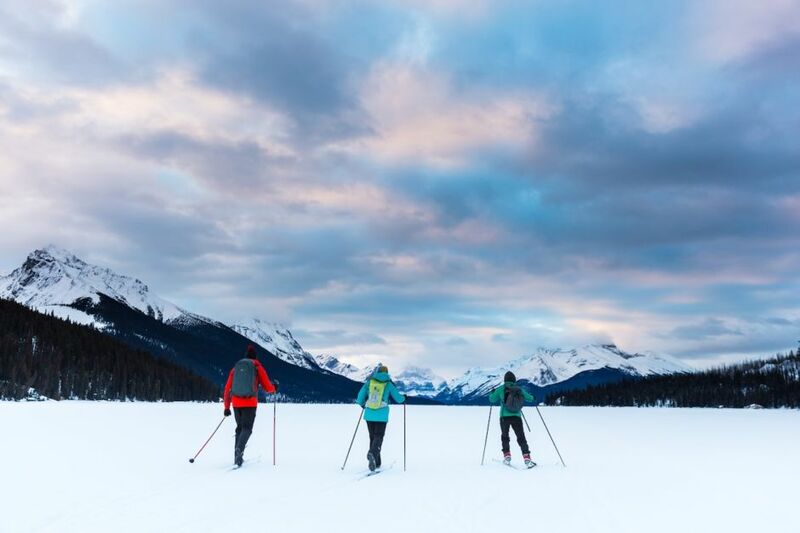 Here are just a few of the incredible things you can do in and around Jasper that will show you the true nature of Canadian winters…and leave you forever enamored. Fifteen minutes northeast of town, Maligne Canyon freezes over in the winter, leaving the more than 160-feet-deep gorge filled with towering ice structures sculpted by nature. Here, you’ll see icicles so big they could double as light sabers (and then some) and climbers taking on the Gatorade-blue pinnacles of ice. There are caves at Maligne with sparkling, frosted ceilings covered in snowflakes. And just past the ice climbers’ hangout is a section where a huge stone platform is covered in a heaping pile of driftwood. If you don’t sit at one of these spots for a photo, your Instagram will never forgive you. 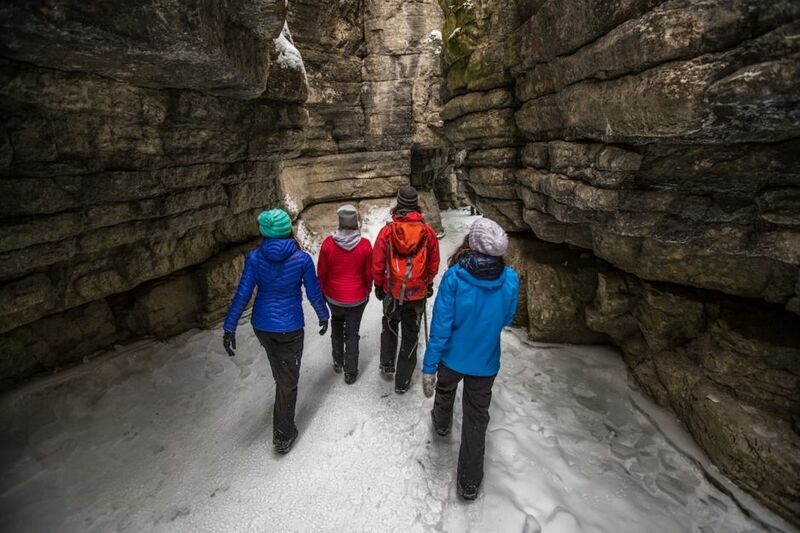 Tip: Maligne Canyon is the coolest place, but it’s no fun to walk around here if you’re not wearing ice cleats. Rent some in town, or go with one of the local outfitters that takes groups into the canyon. They’ll provide gear as part of the package. You can see the aurora borealis from town, but the views are much better if you make the ten-minute drive uphill to Pyramid Lake Island. We’re talking zero light pollution, and it’ll be hard not to applaud as the multi-colored shafts shimmer overhead. Find out your chances of seeing the Northern Lights on your trip by signing up for notifications from a forecasting site like Aurora Watch. Or just ask one of the local baristas if there have been recent sightings. 3. …and the Milky Way. The darker the sky, the more stars you can see. And Jasper has really, really dark skies. In fact, it’s the world’s second-largest Dark Sky Preserve (and has an amazing dark sky festival each October). 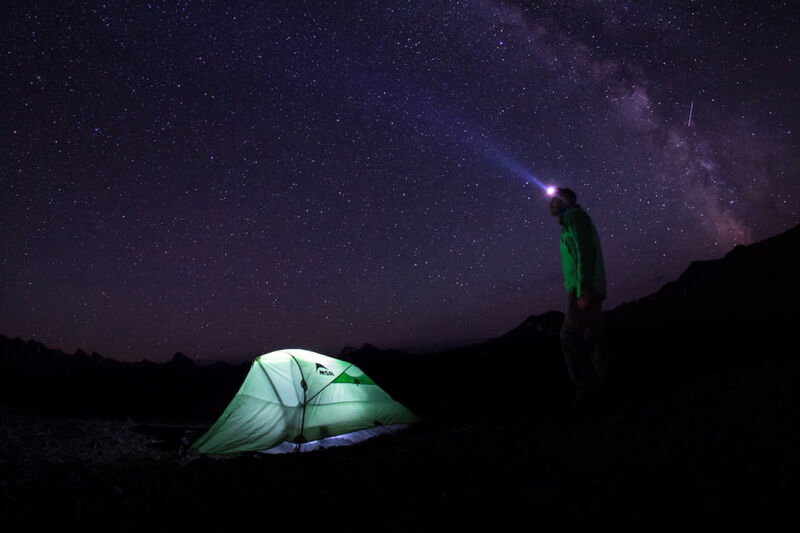 If you don’t know your Andromeda from your Cassiopeia, or are a star lover who likes to spend winter evenings somewhere cozier than outdoors, check out the Jasper Planetarium. 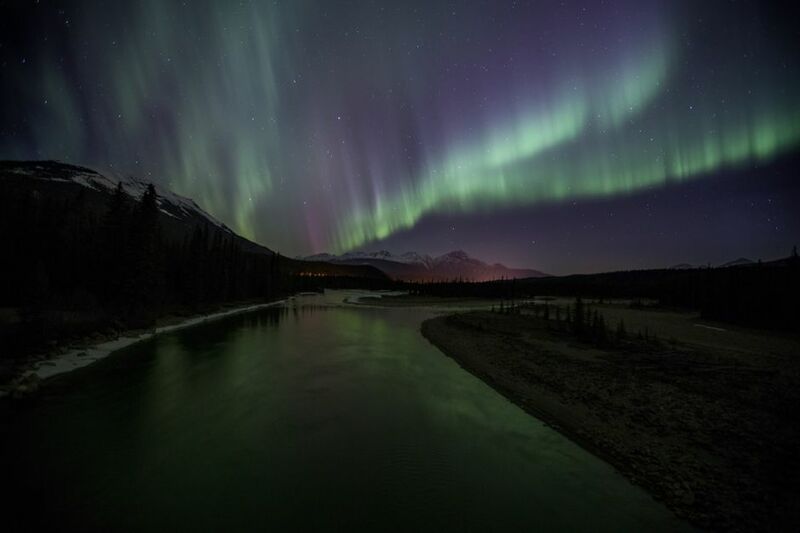 Their nightly Planetarium experience will take you on a guided, virtual tour of the skies above Jasper. 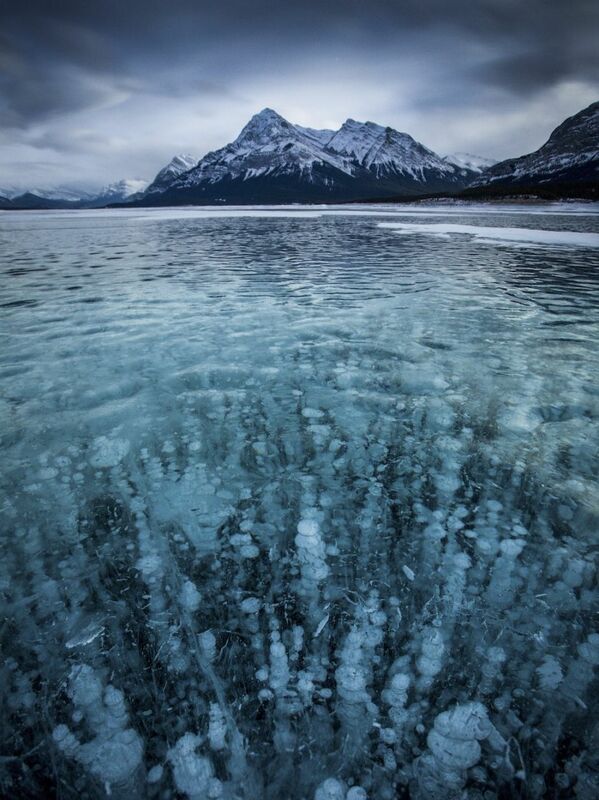 Instagram stars (and budding Instagram stars) in-the-know head to Abraham Lake to photograph their sweet brand-name boots against a floor of frozen bubbles. The milk-white orbs are actually methane that’s been trapped in the ice, and seeing them in person is even more stunning than the photos. Know what else is great about icy lakes? You can skate on them. Rent a pair from the Fairmont Jasper Park Lodge and skate on Mildred Lake, then drive up to Pyramid Lake to do your best impression of a Raeburn painting. Or, if snow has covered the ice, take to the frozen water by fat bike. A sweet spot for fancy meals is Evil Dave’s. It’s on the main street in town, and its menu includes maple-soy-glazed ahi tuna, lollipop shrimp, and AAA Alberta beef tenderloin. If $20 per head more closely matches your budget, for brunch and lunch, there’s Coco’s Café for lox and cream cheese bagels, tofu wraps, and Phil & Sebastian coffee. At night, there’s the always-lively Jasper Brewing Co. for wild boar steam buns and goat curry to go with your house-brewed beer (or, if you’re driving, mojito mint kombucha). And there’s handfuls more worth stopping for, too. Running for 140 miles from Jasper south to Lake Louise, the Icefields Parkway is especially beautiful this time of year. The rippling glaciers are covered in a fresh layer of snow, the sunrises often appearing a frozen pink. You do want to be prepared, though. Check the weather forecast before you head out — and definitely check the Parks Canada site to see if there are any avalanche closures. Bring plenty of food, and look out for those amazingly shaggy mountain goats while you drive! Jasper has amazing cross-country ski trails. If you’re pretty new to the game, Whirlpool Winter Hub is a good place to start, with enough downhill on the return to the car to keep your adrenaline going. Back at the parking lot, having just completed a solid four miles to and from Leach Lake, you should head to the nearby wooden hut and get a fire going to warm up. Also, maybe toast those marshmallows you smartly brought along with you? It’s not your imagination — the outside world really does become hushed after snowfall. Snow absorbs sound waves, and that’s especially true of loosely packed powder. But that’s not the only reason why the town of Jasper feels extra quiet on snow days. Most people are out tearing down the 91 runs at Marmot Basin. The resort gets an average 400cm of dry Alberta snow each year (that’s over 157 inches to you Americans). And here you’ll find groomed runs, trees, bumps, alpine bowls, and chutes, as well as the new Tres Hombres advanced section — and brilliant views to the mountains beyond. PS: The instructors at Marmot are top notch. 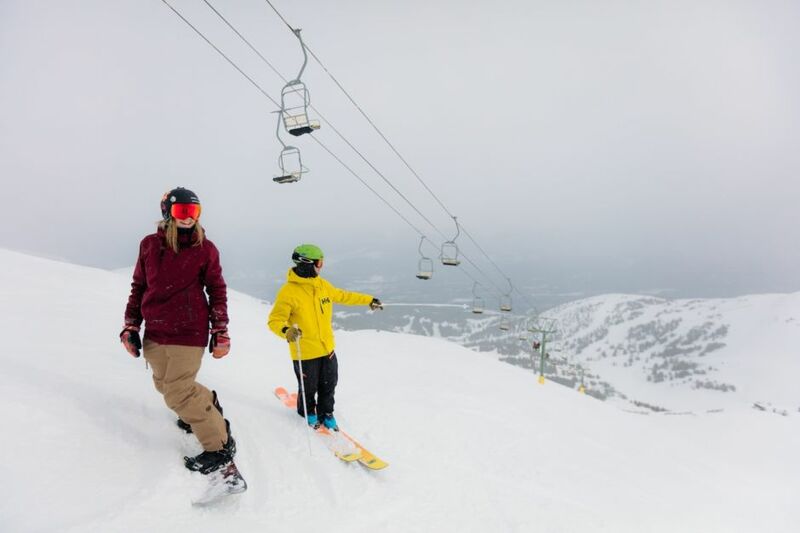 If you’ve never skied or snowboarded before, this is an ideal place to take lessons. 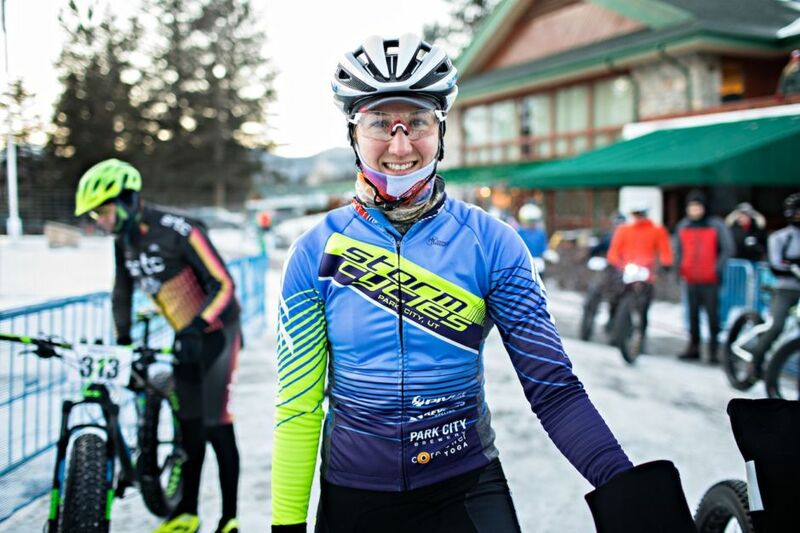 The Jasper in January festival is pretty much the perfect way to celebrate all that’s good in life during what tends to be the coldest month of the year. And 2019 marks the 30th anniversary of the celebration, so the party will be even bigger than usual. If previous years are anything to go by, expect tons of live music, horse-drawn sleigh rides on Pyramid Lake, a street party, a chili cookoff, and more. 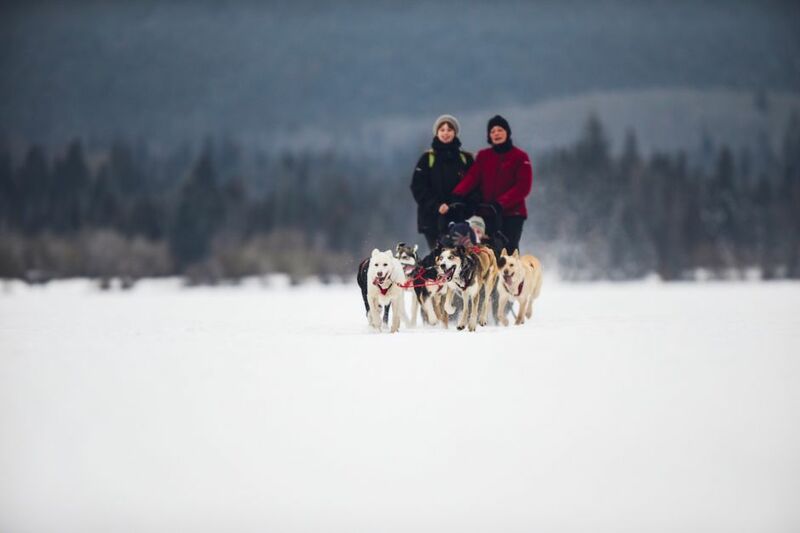 The brave few tackle the Iditarod Race, where they dogsled for a thousand miles through blinding Alaska storms. For the rest of us, there’s going out with huskies for a morning of Narnia-like fun on Pyramid Lake, followed by hot chocolates down in town. This is also the place to ride through the snow in a horse-drawn carriage — sleigh bells and blankets included. If you’ve made it to the end of this article, you’re probably not surprised. Canadian fairytale? For sure, but it’s the real deal here in Jasper. This post is proudly produced in partnership with Tourism Jasper.